Some Game of Thrones characters are good at fighting and others like to read. While they typically drink wine, whiskey is just as powerful. 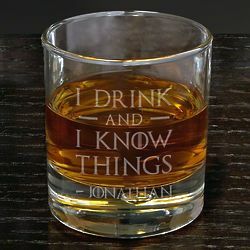 This glass is for the person who believes knowledge is power.